Help me find a great multi clown image for a painting. To all my Clown/Klown/Payaso/ Clown Alleys/ clown Organizations/ Clown Schools – I am looking for an image where all the clowns are making funny faces at the camera… not just sitting there. I would like the image to have at least 10 clowns all in costume in it – all making faces for the camera. The more colorful the better – the more your hamming it up the better. You could even make it have a theme. 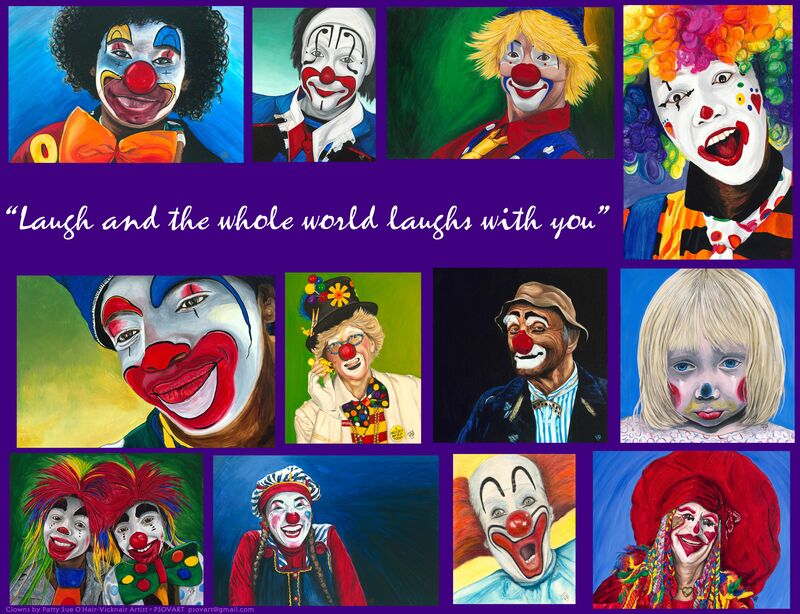 I am looking for ideas and fun images that present clowns in wonderful, colorful, fun ways. This will be painted on a huge canvas and should really be cool. Please post any photos you may have along with the names of the clowns involved. Please gather and indicate that I have the clowns permission to paint them. I will not do so without everyone in the photo being on board. I will provide a digital Tiff image of the original painting to the group to use as you would like – with my blessing and 1 printed copy on Fine Art Paper if I choose to paint the image provided.